They lead by example, challenge the status quo and change the way we think. Brenda Tippins is a survivor. Her grandson, whom she raised from birth was murdered as a teenager. Today she works with Re:store Justice to bring empathy and true inclusion to prison reform. 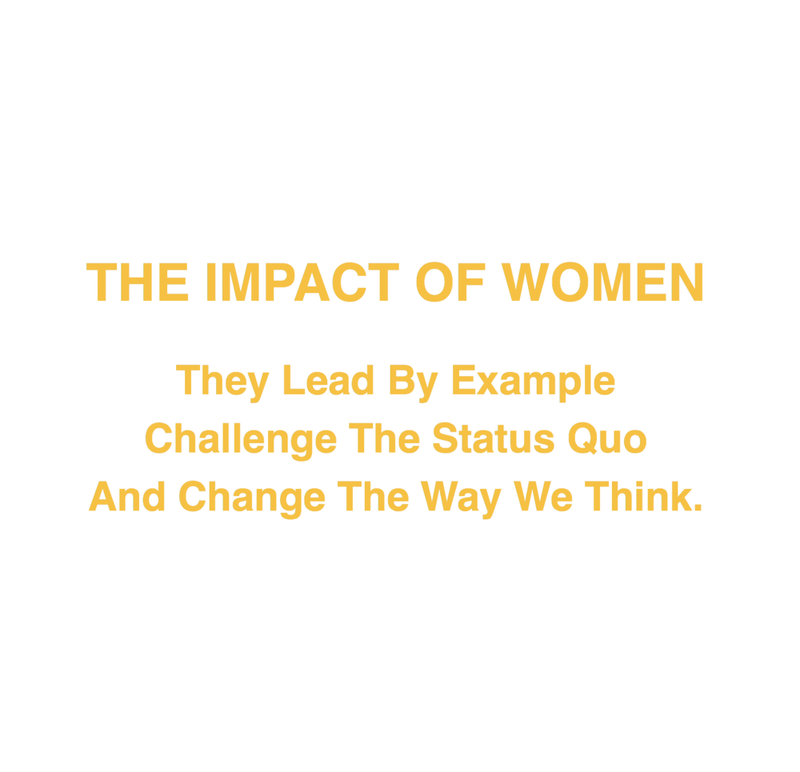 Princess Reema has gained attention on the international stage as a leader in business innovation, specifically as a champion for women in the workplace. She was featured on the Forbes lists of the 200 Most Powerful Arab Women. Lori Park was one of the first female engineers at Google, paving the way and setting an example for many future female software engineers and the girls who code movement. Jameela Jamil is a British television presenter, author, actor and activist. She is the founder of i-Weigh, a movement she created for women to feel valuable and see how amazing they are, and look beyond the flesh on their bones. Miyoko Schinner (say Me-Yo-Co) is the tenacious, award-winning vegan celebrity chef behind Miyoko’s Kitchen. Her passion for her craft and mission is unrivaled. The publication of her groundbreaking book, Artisan Vegan Cheese, kicked off the start of the vegan cheese revolution. Jessica is an American journalist who was described as "one of the most influential women in Washington. She was the Chief White House correspondent for CNN from 2011 to 2013 and is now building a news network for women. Dr. Smalley, Professor Emeritus in the Department of Psychiatry at UCLA, conducted seminal studies on the genetics of Attention Deficit Hyperactivity Disorder (ADHD) and Autism Spectrum disorders, publishing over 100 studies in the field of behavioral genetics. 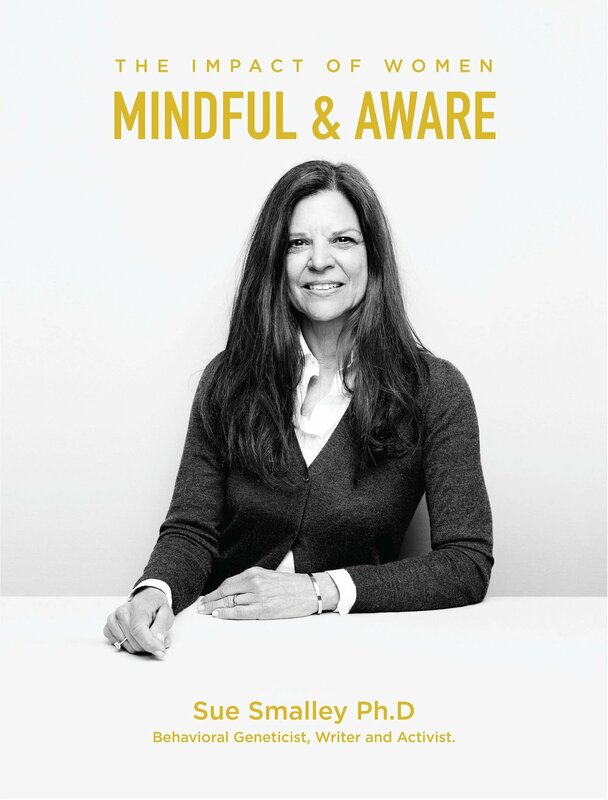 In 2004, she founded the Mindful Awareness Research Center at UCLA. Jennifer is a Professor at Stanford Graduate School of Business. Her research focuses on how people choose to spend their time and money and how those choices drive lasting happiness. She is the recipient of the Distinguished Scientific Achievement Award from the Society for Consumer Psychology and the Stanford Distinguished Teaching Award. Lakshmi is CEO of INK, a platform for innovation at the intersection of science, technology, community and culture. Her role is to look at the new India with new eyes and focus on bringing digital access to everyone and cater to the needs of the youth in a whole new way. Molly Swenson is Chief Impact Officer, Maverick Entertainment, focusing on social impact, advocacy and philanthropy. She started her career as an intern for the Obama administration, identifying diverse candidates for political appointments and went on to found RYOT Entertainment. Courtney Nichols Gould is the Co-Founder of SmartyPants Vitamins, the leading maker of premium comprehensive supplements, donating more than 7 million nutrient grants to mothers and children around the world. She is obsessed with making real things to help real people in the real world and is honored to do just that. Kristina Simmons is the Chief of Staff at Khosla Ventures, a firm that focuses on investments and entrepreneurs that build impactful businesses across internet, healthcare, food, and breakthrough technologies. Nikki Jean is an American singer-songwriter and musician who takes matters into her own hands. She was initially discovered after posting videos of her work on YouTube, which quickly passed a million views and gained recognition in the music industry elite. Tillie Walton has created and implemented large river restoration projects and environmental conservation efforts, including the Yuma East Wetlands. Her love of rivers was inspired by over 20 years of guiding whitewater expeditions through the Grand Canyon and on other rivers across the planet. Zem Joaquin is a pioneer in the world of green. She first launched her website Eco-fabulous in 2006 and went on to create the Near Future Summit which brings experts together to discuss #WorldPositive solutions on topics from food to health to energy. Sandhya Mysoor is an instructor at Kidpower Teenpower Fullpower Int’l. There teaches people of all ages and abilities how to use their power to stay safe, act wisely, and believe in themselves. Anna operates an international management consulting firm specializing in growth. She works with clients in financial services, media and technology to systematically map and network ecosystems that drive opportunities for growth and development. Ching Yu Hu Co-founded Terra Bella an aerospace and data science startup that designed, built, and launched the world's largest constellation of commercial high-resolution imaging satellites which was acquired by Google in 2014. Di-Ann started with Waze in 2009 and was Director of Growth for the crowd-sourced navigation and real-time traffic application. She is co-founder of Neighborhood Start Fund, a neighborhood based micro-fund to start business in underserved urban neighborhoods. Carolyn Goltra is the former CEO of her own steel company, Goltra Castings. Today she is a team member of the Women’s Investor Network initiative and a rising force in empowering women entrepreneurs. Lyn Davis Lear is a social and political activist and philanthropist whose main passions are the arts and the environment, with a specific focus on climate change. She aims to inspire, educate and activate people on global environmental issues through television, film and all forms of media.